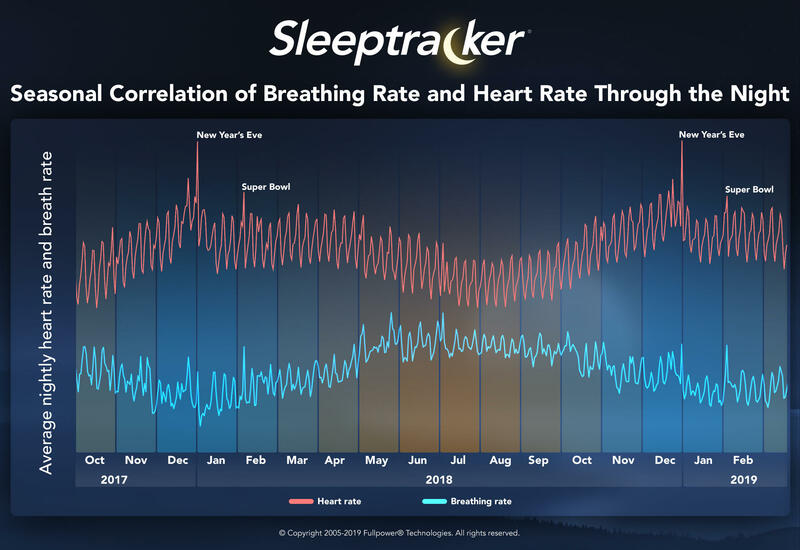 Our AI-powered analytics discovered this new correlation, and found the "inverse" breath correlations which seem to be published in this post for the first time ever as we couldn't find this science published anywhere! Fascinating power of our long term PSG-grade datasets and tools! 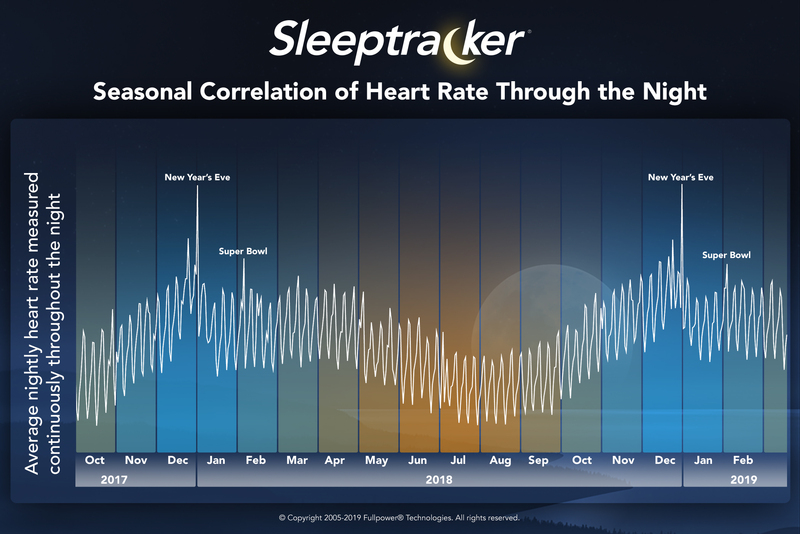 There's a consistent weekly cycle throughout the year with lower heart rates during the week and higher on the weekends (affected by time to bed, diet, and alcohol). There's a significant dip after New Year’s, perhaps due to New Year’s resolutions (better diet, decreased alcohol, more disciplined sleep schedule), but eventually, it fizzles. Here at Fullpower Labs, we are thinking about last year's Berkeley earthquake and have been doing some geographical distribution analysis. That earthquake hit right in the middle of our night, 2:39 am to be precise. 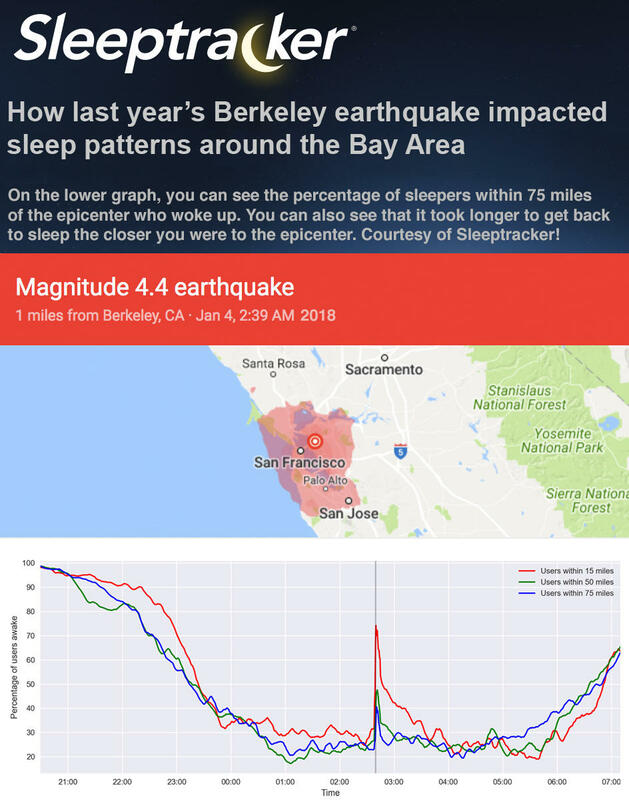 Many of Sleeptracker's users in Northern California were affected. The Sleeptracker System works with your bedding, fits seamlessly under your mattress and works hand in hand with Amazon Alexa. 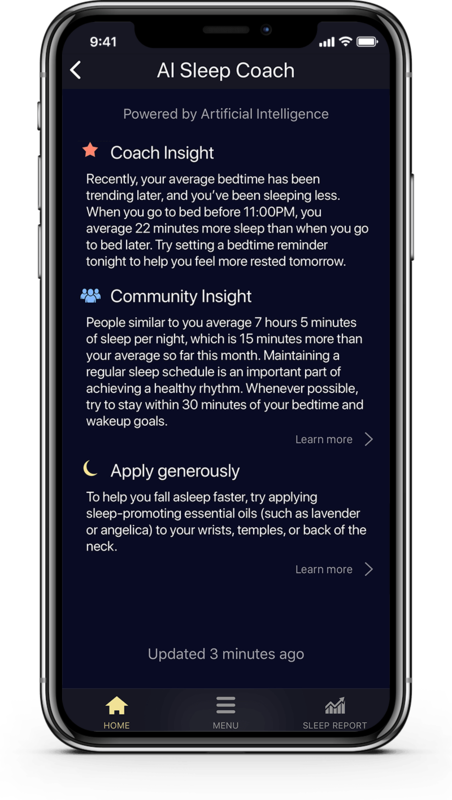 Now you can understand and compare your sleep to other “people just like you” and receive easy to understand feedback to improve your sleep night after night! 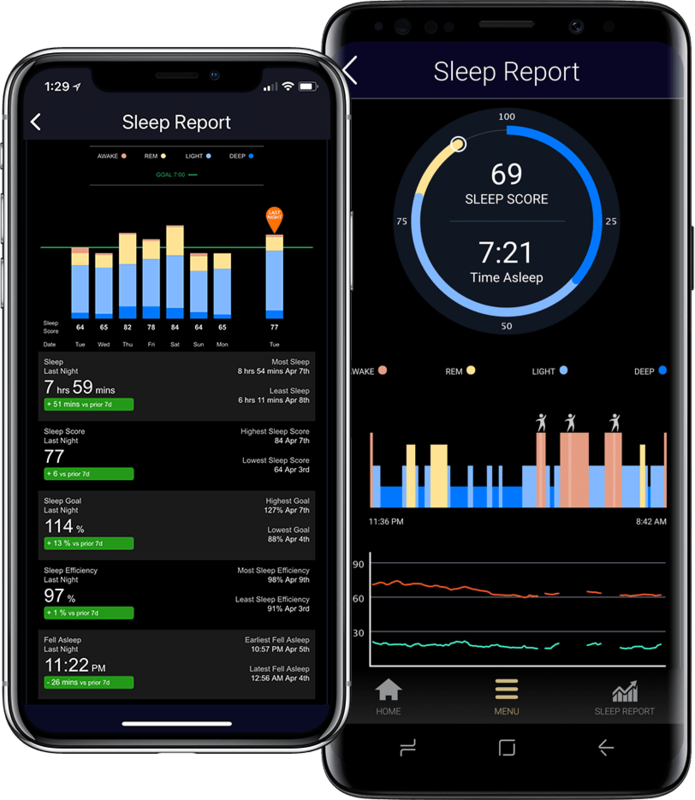 Our patented AI and Sleep Science system performs nightly detailed sleep analysis to form cognitive behavioral science-powered actionable insights. 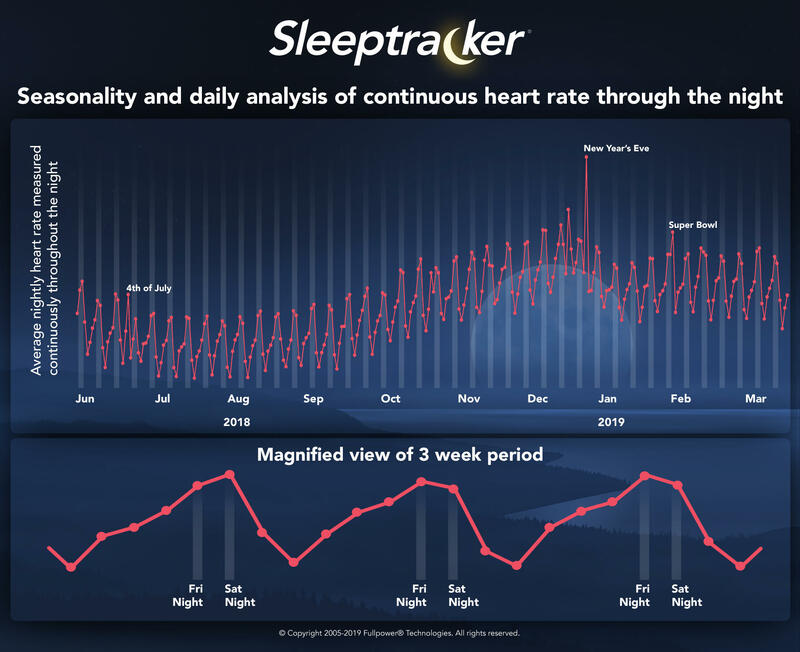 The Sleeptracker System will lead you to better sleep and help you feel energized throughout each day. Get your Sleeptracker System today.